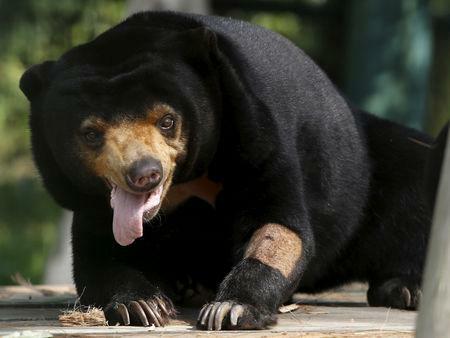 WASHINGTON (Reuters) - Sun bears, the smallest of the world's eight bear species, are generally solitary animals, content to spend most of their time alone outside mating season, foraging for fruit, rodents, birds and insects in Southeast Asian tropical forests. 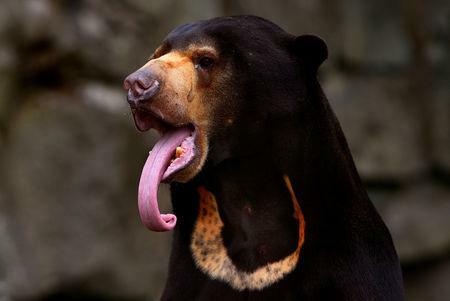 But, scientists said on Thursday, they also possess an unexpected social skill that puts them in elite company alongside humans and some of our close evolutionary cousins: the ability to mimic another bear's facial expressions in a subtle type of communication. "It seems that some forms of communication are much more widely shared amongst mammalian species than we previously thought," said Derry Taylor, a comparative psychology PhD student at the University of Portsmouth in England and lead author of the study published in the journal Scientific Reports.